Bluetooth speakers are all the rage right now and the market for them is rapidly growing. So finding the best Bluetooth speaker out there can be a daunting task. 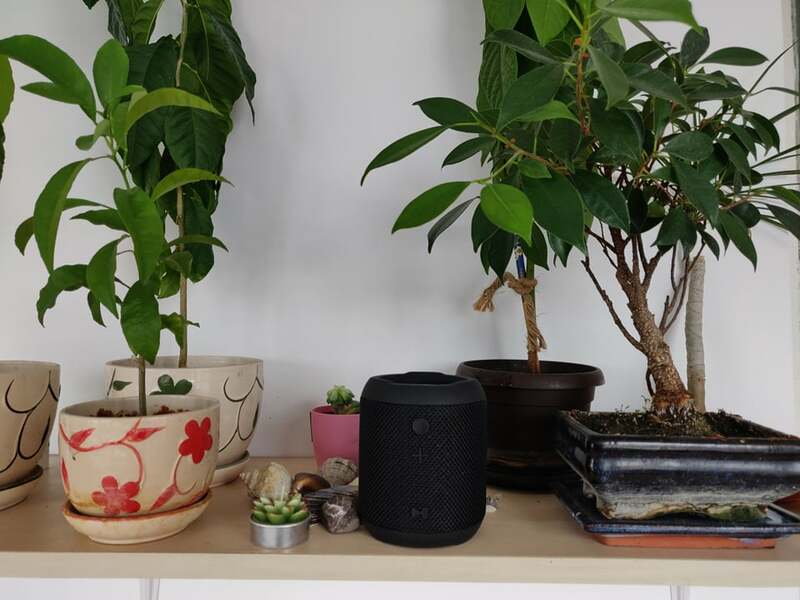 The market is awash with countless models, as every major consumer electronics manufacturer from Apple to Sonos or JBL is trying to get a piece of the action. Which one should you buy? Well it depends on many things, but mainly your expectations and budget. Yet sometimes you can get quite a pleasant surprise from the more obscure brands. Companies that no one has heard about can and do make pretty great products that are sold for a lot less than their more main stream alternatives. This is the case of the portable wireless speaker (M350) by Sbode which offers quite a lot for only $32.49. Curious of what such a low budget will get you? Keep reading below. 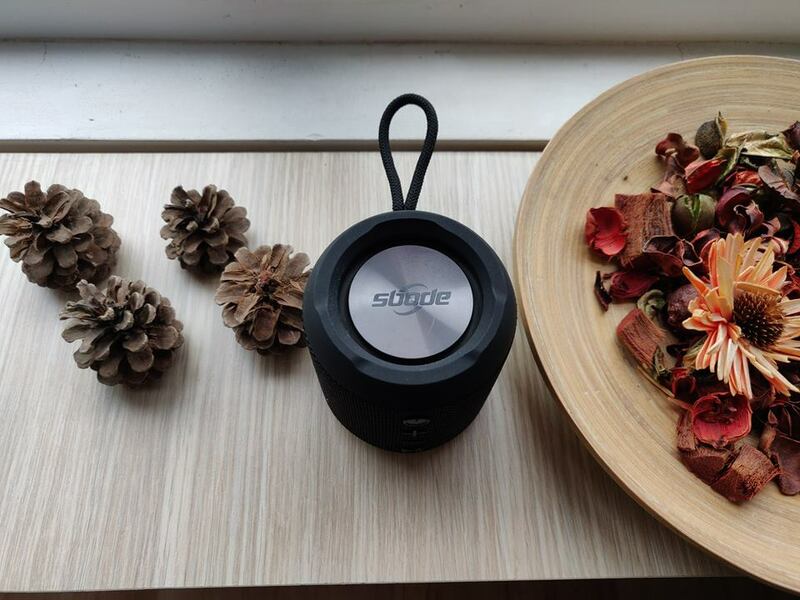 The Sbode speaker comes in a very nice magnetic closure box that contains the speaker, micro USB cable, aux in cable and user manual. The speaker per-se is shaped like an oversized Pepsi can, but even so it can easily fit in one hand. Made of lightweight materials, the speaker also features a dedicated wrist strap, for easy carrying. The device features a rugged, mesh wrap-around that acts like the speaker’s grille. You have passive bass radiators on the top and bottom of the speaker, which pulsate when the music is playing and is quite satisfying to look at. 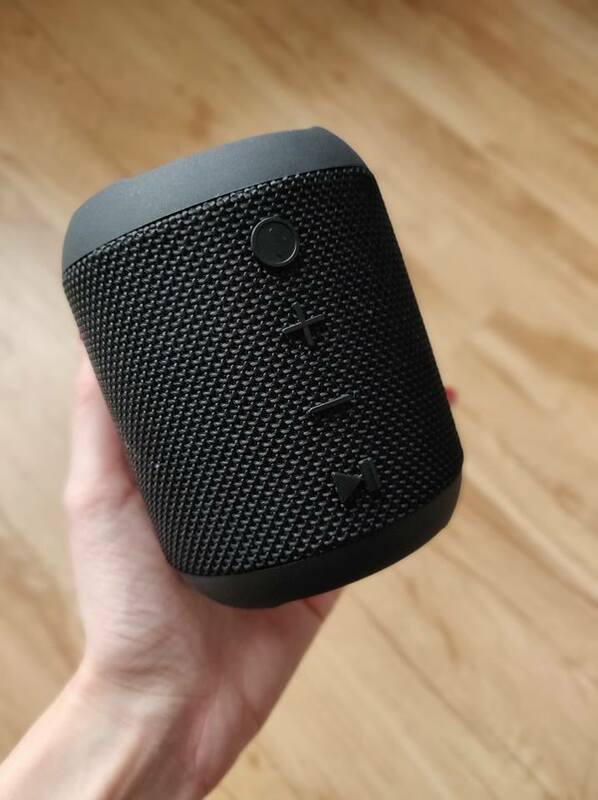 We should also note that the mesh material is rated IPX6 for water proofing so you won’t have a problem taking the speaker with you into the shower. Four control buttons live atop the mesh across the speaker, but they might be a bit hard to spot, at first. The buttons and black and they perfectly blend against the black background, so you might have to look twice to locate them. You get the standard Power and Play/Pause buttons, as well as two additional Plus and Minus buttons, which have some weird combined control use. More on this in the following section. The ports and plugs are hidden behind a silicone flap. 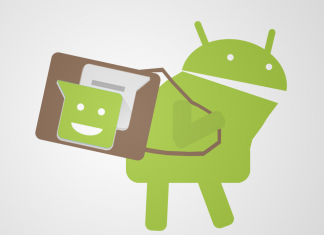 That’s where you’ll find the microUSB slot for charging the speaker, which is powered by a 2,200 mAh battery. The juice box can offer around 6-7 hours of music. It takes another 4 hours to recharge the speaker. The speaker is compact and weighs around half a kilogram, so as I said before, it’s easy to carry around and about. 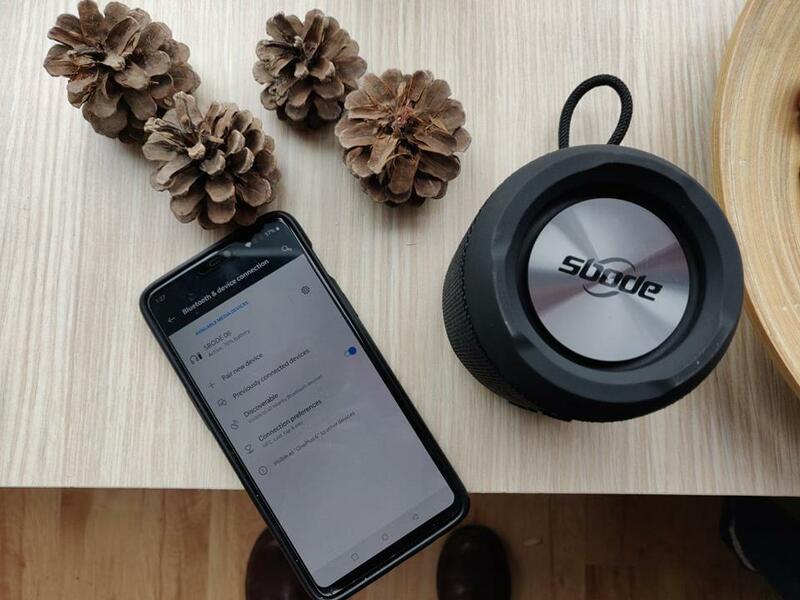 The Sbode speaker is very easy to set up and use. 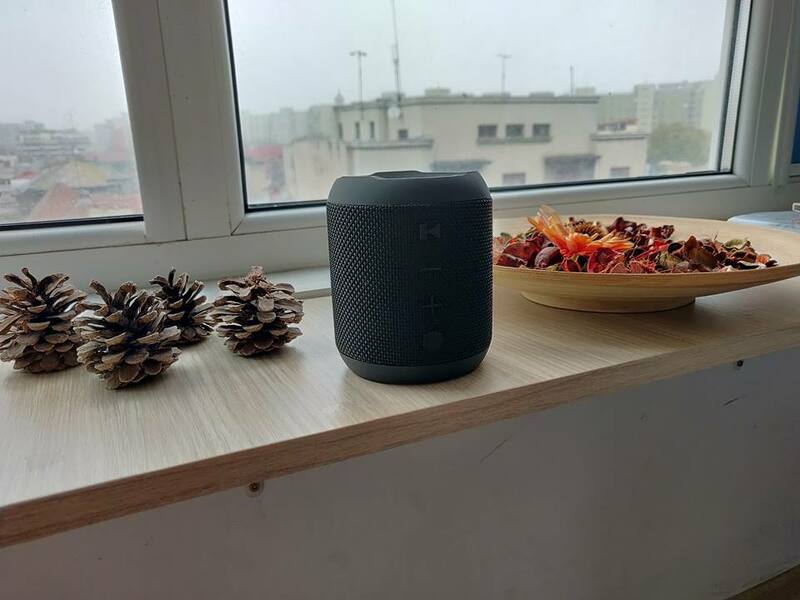 Just connect it via Bluetooth to your smartphone and start playing the music. The product comes equipped with two full range 40 mm drivers and two 71mm bass drivers that can deliver pretty decent sound. This is not the first budget wireless speaker I’ve tested so far, but it’s definitely the loudest. Although, don’t expect it to shake your windows or anything like that. What’s more, in my experience the speaker does not distort sound at maximum volume levels unlike other alternative in this price category. 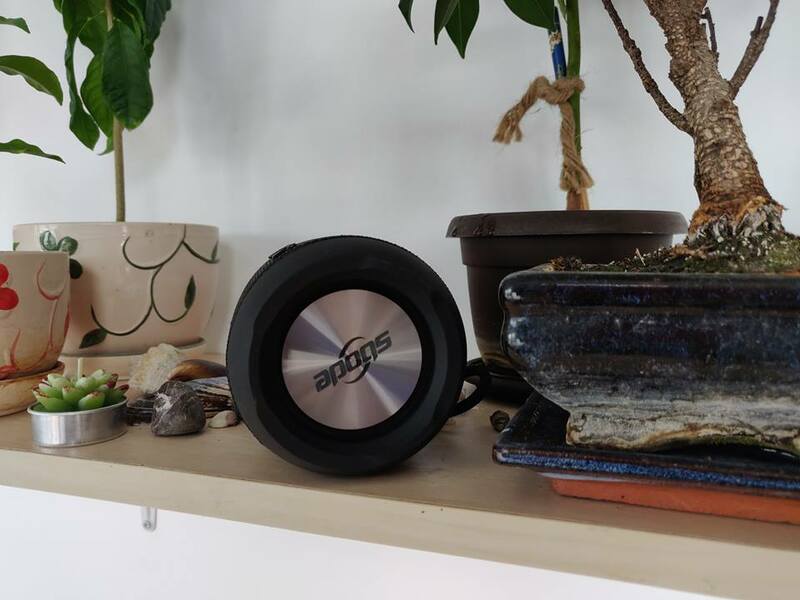 The device can easily fill most rooms in a home with sound, but if you are looking for something that can power huge spaces this is definitely not the speaker for you. As we mentioned above the speaker features four control buttons: there’s a circular one which is the Power button and there’s the Play/Pause button which is the fourth button in the vertical arrangement. But the Plus/Minus buttons in the middle are a bit counter-intuitive to use since they come with the opposite configuration compared to other speakers on the market. Skip to the next song by short pressing to Plus button, but if you want to turn the volume up you’ll have long press the same button until the sound reaches the level you want. While it might be a bit annoying at first, getting used to the controls doesn’t take too long. So in the end it didn’t prove too big of a major turn-off, especially since you can always adjust the volume from your phone. Sbode is marketing this speaker as being a 360-degree one. But in my opinion you’ll be limited to using it mounted on either side in vertical position, instead of keeping it on the side with both ends open. There’s a big chance the device will roll off the table if you do. Don’t worry about keeping it vertical though, the speaker will still be as loud as it can be. 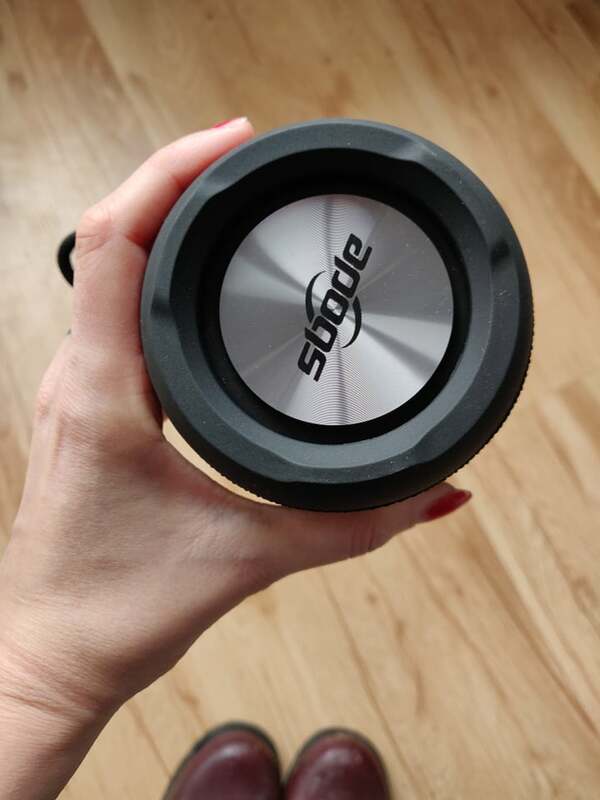 Should you buy the Sbode (M350) wireless speaker? Yes, if you’re looking for speaker for smaller spaces, one that can provide decent, albeit not stellar audio quality. If you can look past that, the M350 has a lot going for it at this price. It’s waterproof, portable and loud enough, with little distortion. But if you want something more advanced, you might want to look somewhere else. Just remember, it will cost you extra. 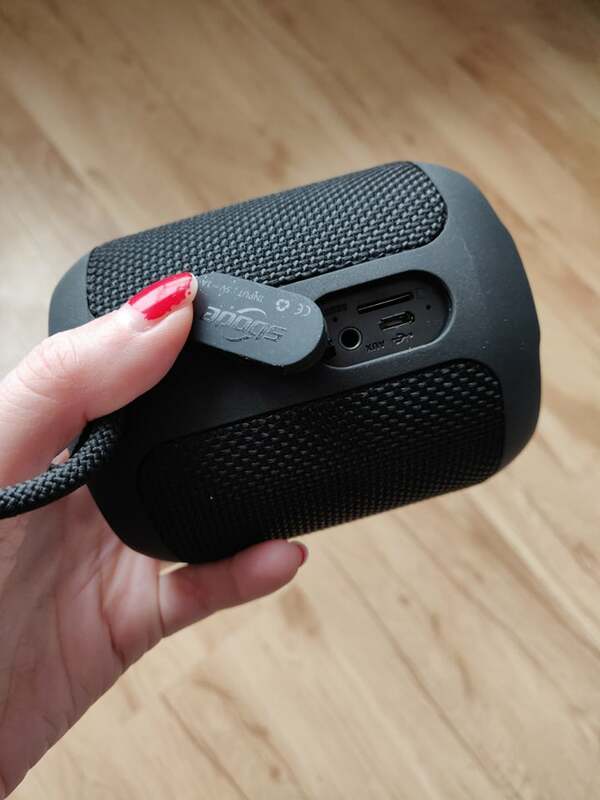 Sbode's budget M350 Bluetooth speaker covers all the basic. But because it costs only $32, the product does not come with a lot of features, nor does it offer premium sound quality.